I went to see First Man at the cinema last night and the one prominent thing that stuck in my mind from this film was the Gil Scott-Heron track they used on the soundtrack – Though for the film they did actually use Leon Bridge’s rendition and this is worth checking out! 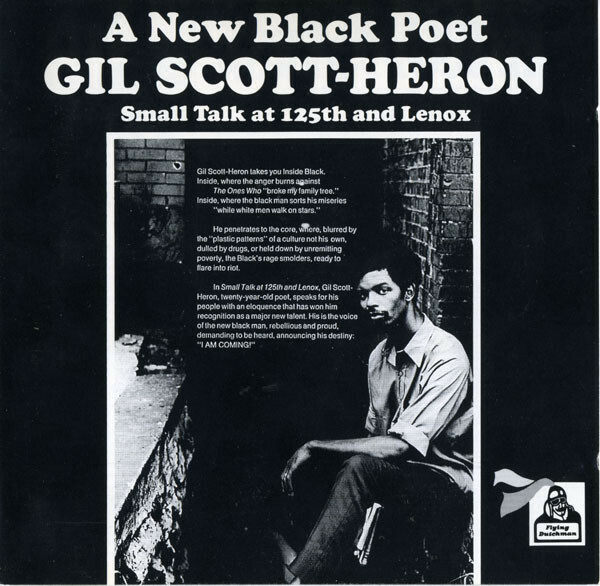 Featured on his 1970 debut album, A New Black Poet – Small Talk at 125th and Lenox, (also known simply as Small Talk at 125th and Lenox), Whitey on the Moon received mixed reviews upon its release and continues to divide opinions to this day. Some subscribe to Heron’s humorous attack criticising the US government for spending billions of dollars on the space program whilst ignoring social issues, whilst others have condemned the song for its racial connotations. Either way, I love its rhythmic simplicity and how it questions something that we perhaps take as a given?…the rest is for you to decide!.. Another interesting feature I have to mention is how this track has been widely credited with inspiring the development of rap music!.. Check it out above. This entry was posted in Funk, Soul and tagged Funk, Soul, Spoken word. Bookmark the permalink.